Optimum Nutrition's AmiNO Energy is one of our favourite supplements at Echo Supplements as it such a versatile and effective product. With a range of flavours and only 10 (TEN!) calories per serving and NO Sugar Optimum Nutrition Amino Energy is an awesome supplement for energy, recovery and generally increasing your high-quality protein intake - HIGHLY recommended! Optimum Nutrition's AmiNO Energy is one of our favourite supplements at Echo Supplements as it such a versatile and effective product. First of all Amino Energy delivers all of the essential amino acids and branched chain amino acids in free-form so they are absorbed fast. 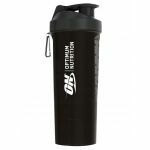 Optimum have then added Nitric Oxide (NO) Boosting ingredients in the form of Micronised L-Arginine and Micronised Citrulline for superior pump and bloodflow. The "Energy" part of Amino Energy is equally impressive where Optimum Nutrition have a blend of Green Tea and Green Coffee extracts for a natural "pick me up" suitable any time throughout the day, but when you up the dose to the maximum 6 scoop then it is strong enough to compete with the strongest of pre-workouts! With a range of flavours and only 10 (TEN!) calories per serving and NO Sugar Optimum Nutrition Amino Energy is an awesome supplement for energy, recovery and generally increasing your high quality protein intake - HIGHLY recommended! L-Arginine - Arginine is a KEY ingredient if you're aiming for maximum blood flow & muscle pump. Drinking Amino Energy both before and after you train is a VERY popular way of using this product so this drip feeds your body with L-Arginine to maximise the muscle pump while you are training! Beta Alanine - This is the ingredient responsible for that "tingly" feeling you get when you drink Amino Energy, but it isn't just to let you know you've taken it! Beta Alanine works to buffer the lactic acid build up in your muscles which causes the "burn" when trianing hard. By buffering the build up you can train for longer before the burn kicks in! A Real Pleasure To Drink - Taste isn't the most important factor when choosing a supplement (or at least it shouldn't be!) but it REALLY helps with a product like Amino Energy which you'll find yourself drinking regularly that it tastes good! Incredibly Versatile - Many supplements get the balance wrong - they're suitable for a pre workout boost but NOT as a coffee substitute first thing in the morning (as they're too strong/too many side effects) but Optimum Nutrition Amino Energy is *perfect* in this respect. At Echo we drink Amino Energy through the day in small doses as it taste that good! Who is Optimum Nutrition Amino Energy For? Anyone that wants to maximise their essential amino acid intake, have a clean and natural pre-workout boost or in our case at Echo we drink it through the day as a coffee replacement that tastes great (really, really great... we might just like the taste a lot!) and gives a nice clean energy boost without a crash. When to Use Optimum Nutrition Amino Energy? 3 Servings (5-6 scoops) - For the REALLY tough weights sessions you can max out - save this for a PB setting leg workout and it will give you a massive boost!